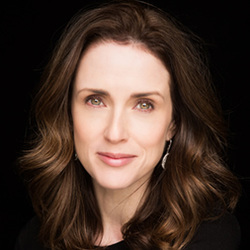 ﻿Maia Dunphy is a Writer and Broadcaster who stepped in front of the camera after over a decade writing and producing behind it. Maia has worked on many RTÉ comedy shows including The Podge & Rodge Show, Katherine Lynch's Wagon's Den as well as the IFTA winning Bronx Bunny Show. Her first venture on screen was 'From Boom to Maternity' which she wrote and hosted for RTÉ as part of the Reality Bites Series. Her second documentary Merlot & Me was the highest rating Reality Bites series that year. She then went on to make two successful series of Maia Dunphy's What Women Want in 2013 and 2014, followed by Maia Dunphy’s Truth About which aired in Autumn 2015. Maia published a book called 'The M Word'. The book provides light relief for mothers who are fed up with their mundane lives of feeling under pressure to do it all while running on two hours' sleep. ​Maia took part in season two of the hugely popular 'Dancing with the Stars' on RTÉ One.